I am a New Mom Again! What size dog shall we get? Well, the kids wanted a small one, presumably for the cute factor and the dress up potential of said dog. Thomas was more keen on a larger dog. A Rottweiler was his first choice but that was very quickly taken care of. We will not ever be getting a Rottweiler and I do not care what great family dogs they are. So once we settled on something in between, it was time to decide on a breed. So what mid-sized breed should we have? As I hate to clean, the idea at first was to look for something non-shedding. A poodle came to mind but only once in my life did I find a poodle I liked. Every other poodle, especially white ones, give me the heebeejeebees. Honestly. So with poodles out, the Portuguese Water Dog was on my radar, especially since dear Barack Obama has one. I visited a lovely breeder and spoke to two vet techs and decided that our family needs a dog with energy. . . but not that much energy. I have a four year old and a seven year old with plenty of energy so thanks, but no thanks, for that Portuguese Water Dog. 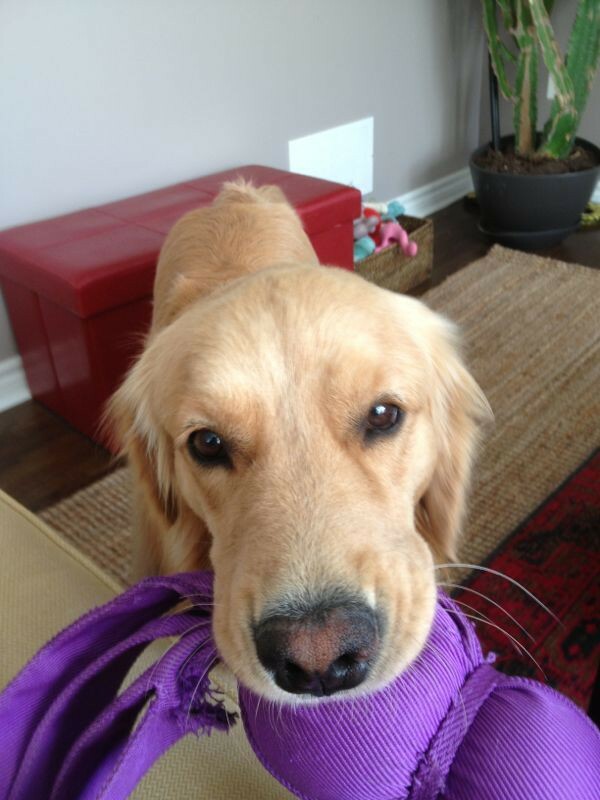 And then it came down to a dog that I have always loved and is loved by many – the Golden Retriever. I joke about it but there is some truth to it. We live in suburbia, the kids play soccer, I drive a mini-van and walk around too often in my lululemons . . . what dog does one get? Of course a Golden! And finally came the question of . . . girl or boy and since I can choose we are getting a little girl. 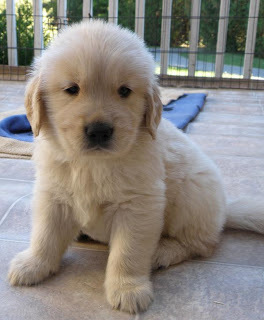 Three breeders later we found our princess at Bowbell Goldens and will be bringing her home in one week. As a family we are excited, very excited, to be settling down enough to get a dog. The kids are more than old enough and, to be frank, I am, too (settled and old enough – FINALLY)! I love our little girl. She is loved and spoiled although no sofa sleeping allowed. She does, however, sleep on the sofa. I love that stinker. Now off for a long walk with the girl. So cute! I could eat her up! As a owner of a Golden at one time, I couldn’t agree more with this breed for families! And yes, perfect for suburban living. I can’t believe she is three years old already!!! How is that even possible, she was just a puppy? Because time flies when you are having fun. I am pretty sure that is why she was a puppy just yesterday and now … she is a sassy teenager. Prinzessin Maizy, aka MayMay, MooMoo, MaizyMoo, and Smelly Skunked Pup is still the one of the cutest and sweetest dogs ever! But not only were you, as her family, lucky to find her as a puppy, you also raised her and trained her in the most loving ways, which, just like with children, sometimes includes strictness. If dogs were raised by their own doggy-parents, that would happen as well 🙂 And so here is your Maizy, the absolutely adorable, lovable result! I can’t believe she’s three years old. Time goes by fast when you’re having fun, right? That goes for dogs and people, too!